Mattydale Animal Hospital in Syracuse, New York, is looking to add a full-time veterinarian to complement our existing staff. We are a well-established AAHA small animal and exotic practice, with a well-trained support staff. We emphasize preventative health care, quality medicine and surgery, and client education. Our facility includes computerized records, in-hospital surgery suite, in-house laboratory, and on-site radiographs, including dental. 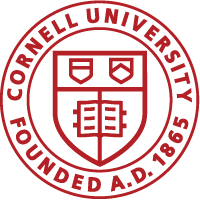 We have local access to advanced imagery, board certified veterinarians and surgeons, ultrasonography, emergency services, and Cornell University. Benefits include a competitive salary, health and dental insurance, retirement plan, CE allowance, dues, licenses, and membership fees, paid sick, personal, and vacation time. No after hours or emergency coverage. Our schedule is flexible. The opportunity to buy in/out for the right candidate. Please contact Dr. Karen Leshkivich at mattydalevets@aol.com.